At Deyos, we know how to capture just what you are about. From athletes to academics and every moment in between, Deyo’s is the place that can showcase exactly who you are and what makes you great. Deyo’s Photography opened our doors in 1974 and has grown to be one of the most recognized photography studios in Omaha. Through this time we have photographed countless senior portraits, weddings, and events that will be cherished for years to come. This is what we call the Deyo’s Difference. From the moment you enter our doors, you will be welcomed as family and treated with a fun smile as we capture your perfect moment. You spend months agonizing every detail of your wedding, wanting nothing more than a "picture perfect" occasion. The *perfect* pictures came from Deyo's Photography. Don't make the mistake of paying an amateur for their hobby. Pick the professionals. 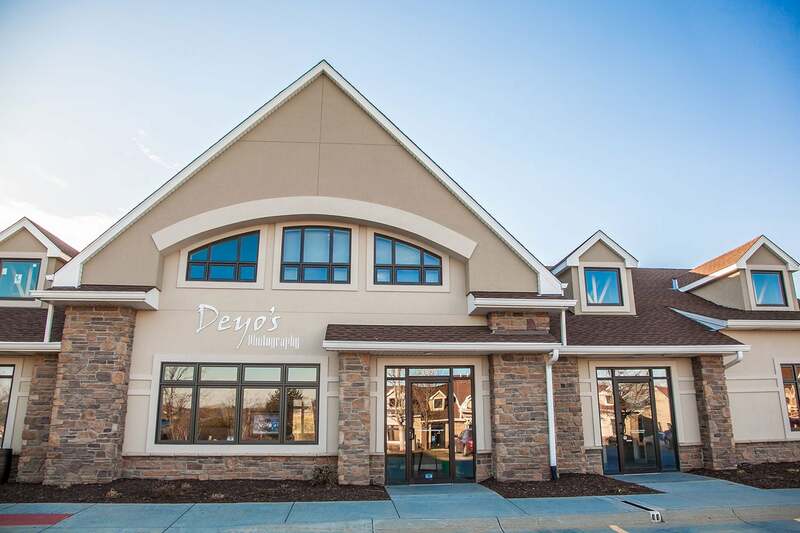 You won't regret the decision to go with Deyo's. Ron and Rich Deyo capture the moments you're told "not to forget." So take those moments as Bride and Groom, and let Deyo's take care of the rest. My daughter (NAM Missouri Princess) recently had a photo shoot with Deyo's before NAM nationals and I had a hard time picking my favorite images because they are all so amazing! He made her feel like a star and I am blown away by his work. Highly recommend him! Rich worked magic with our 8 year old, Kaydence, during her Little Miss Nebraska photo shoot. She loved him and she said he made her feel like a movie star. Amazing experience and beautiful pictures! Started with dance team pictures, ended up doing senior photos! Would highly recommend the team at Deyo's! Where do I even begin! These photographers are absolutely phenomenal! Not only did they do an absolutely amazing job but they made us so happy & comfortable & we had so much fun shooting with them! They were professional, caring, fun & just simply great people! I am beyond happy with my wedding pictures! I will definitely be back for more pictures & would recommend Deyo's Photography to absolutely everyone! Thank you guys sooo much! I can't thank you enough! I can not say enough great things about Deyo's! They are a family business, which I love! Very professional, exceptional service and beautiful pictures. My entire experience with them has been awesome!!! I recommend them and will be using them for all my photography needs. Thank you Deyo's!!! Deyo's took our dance team photos this year and they turned out beautiful. THANK YOU for the lifelong memories! Had my oldest son's pictures taken with them 10 years ago, and knew I would be going back 10 years later for another round of senior pictures. Went somewhere else for a little senior photo shoot, and they didn't even come close to the experience and performance they gave to us at Deyo's!! Excellence in the uniqueness of the work they do and fabulous customer service!! Will be going back again, thank you for doing fantastic work! These guys are amazing!! Fun, creative, and go the extra mile.... or miles to make their clients happy!! Had such a great time today with our engagement pictures!! Can't wait for the wedding!! Excellent service! Family own business so they are very personal. Thank you Deyo's.